Harlingen Hollywood, a team of six Harlingen High School South students, won “Best Under 18 Film” at the 9th Annual CineSol 24 Hour Film Dash. The team submitted their production, “Romance is Dead,” to the film competition along with fifteen other teams from across the RGV. Six of those teams competed in the “Under 18” category. They had 24 hours to write, film, and edit the movie before submitting it into the contest. Part of the challenge in this video competition involved incorporating certain elements into their film such as a creepy roommate, scuba flippers, the line of dialogue “You don’t have to be a librarian to check me out”, a hair flip, and a twist ending. The team was led and directed by Colin Gilloon. 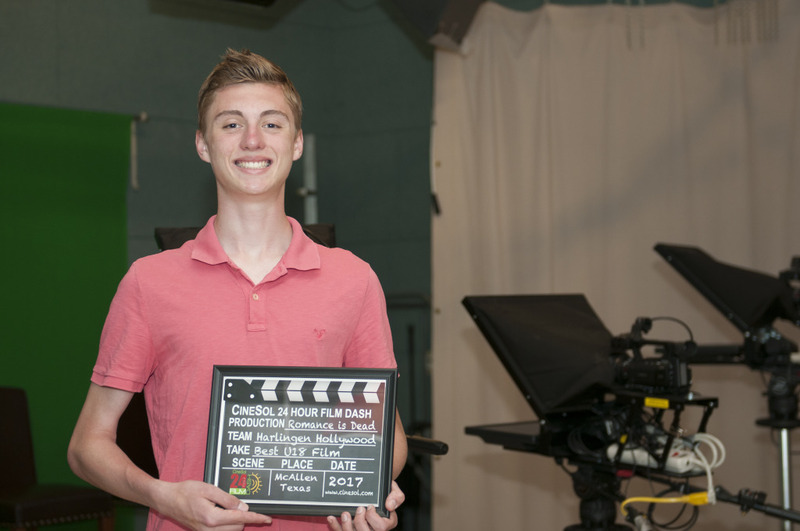 Jared Wagner assisted as part of the crew and the talent included Nate Carney, Isabella Connell, Christian Ingram, and James Gracia. Harlingen Hollywood was awarded at an official ceremony held at the historic Cine El Rey Theater in McAllen on May 28 where their movie was screened.